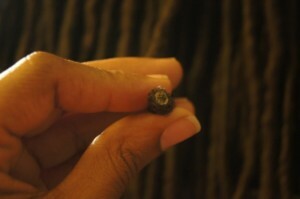 Locs hold on to products whereas loose natural hair releases products. 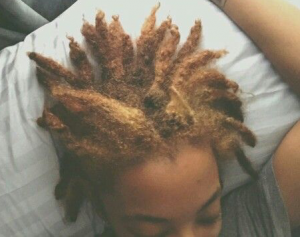 This is the fundamental difference between locs and loose natural hair that many do not take into consideration. But why is that important? Well, this principle changes the types of products that you use on your locs because many products that were used on your loose natural hair don’t work on locs. One particular product, that is a part of the “holy grail of being natural”, that needs to be re-evaluated for locked hair, is shea butter. Yes, you need to take shea butter out of your top 5 favorite hair products now that you have locs and I’m going to break it down for you. First, let me tell you why I’m sharing this information because I’m sure you are probably giving me the sideeye for telling you to let go of one of your favorite products. In my regimen, shea butter, well really Shea Moisture shampoo, was one of my absolute must haves to use on my locs because my hair felt soft and moisturized after using it. I was so excited about the Jamaican Black Castor Oil Shea Moisture shampoo and figured it would fit into my loc’d hair care regimen. For weeks, this was my #1 shampoo. Then, I ran out of my Jamaican Black Castor Oil Shea Moisture shampoo and tried the Dr. Bronner’s Castile soap— my locs felt entirely different. But why? Why did my locs not only feel soft and moisturized but also lighter? I decided to look into the composition of shea butter and how it relates to locked hair. What I found out changed my philosophy about the use of shea butter on locked hair. While the outside of your locs may look clean, moisturized and unbothered by the shea butter, the internal matrix of the locked hair is accumulating and holding on to the shea butter. Pre-Lock / Starter Phase. Using shea butter on starter locs is like putting shea butter through a spaghetti strainer. Think about how much of the shea butter will make in through the large holes but still be left in the container. Shooter / Adult Phase. Using shea butter on teenage locs is like putting shea butter through a cheesecloth. 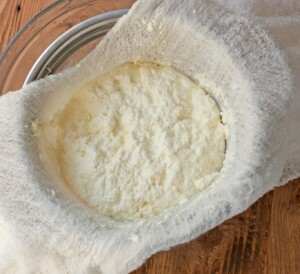 Think smaller holes and less area for the shea butter to exit without a lot of manipulation. Contracting / Mature Phase. Using shea butter on mature locs is like putting shea butter through a tea bag. Do you ever find herbs in your hot tea? Nope, because the holes in the tea bag only allow water to pass through. Think about that. 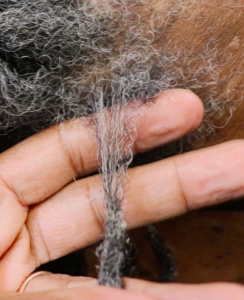 Basically, you can imagine how intertwined the hairs inside the loc become as the locs mature, which means build up is more likely with shea butter as the locs mature. This also explains why I was fortunate enough to have used shea butter for so long and not have locs filled with build up. I no longer use shea butter on locs in any form and my locs are lightweight and flourishing. So, I challenge you to stop using shea butter on your locs and notice the difference. 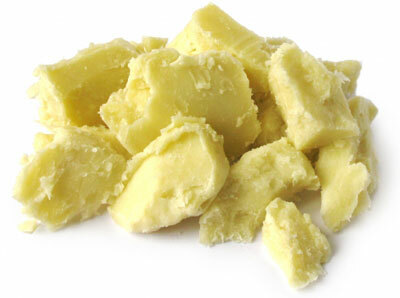 Leave a comment with your experience with shea butter— good, bad or indifferent. Jocelyn Reneé is a Licensed Cosmetologist, Loctician and Textured Hair Educator. She was born and raised in the Washington DC area and is a graduate of the Aveda Institute Cosmetology Science program. With over 14 years in the Hair Care Industry, from Salon Assistant to Natural Hair Blogger to Professional; Jocelyn is passionate about cultivating healthy hair. Thanks for this article… I would have to agree with you. I was using Dr. Woods’ Almond Castile Soap with Shea Butter shampoo and after washing I would follow with diluted shea butter with a mix of carrier oils. When I ran out of the shampoo and couldn’t find it for a while, I returned to the original Dr. Woods’ Almond Castile Soap and definitely noticed a change in my locs. I’ve been loc’d 13 yrs, they are thin, but thicker than sister locs. So when I returned to the original shampoo, I found them to be not as heavy, and not as thick/slightly stiff feeling. I actually came across an article of hot washing your locs to release the gunk. No, I don’t recommend hot washing your locs regularly because it can dry them out and lead to breakage, but I did try it. Since my locs were very long, I hung my head over the bathtub and carefully ran scalding hot water thru them… and the melted gunk was incredible. I never went back to the castile soap with shea butter and now my locs are lighter, more pliable and just as soft on their own. Is the same true for Shea Oil as well? Why I Stopped Using Shea Butter | KinkyCurlyCoilyMe! I mostly agree with you but can’t help but think that you are mostly talking about using shea butter in its solid form or as part of a manufactured shampoo. What about using it as oil ? I ask because I often use it melted and as part of a diy hot oil treatment which as far as i have checked has not left any extra reside in my hair. Can you tell me your thoughts on that please? I am specifically speaking about shea butter in its natural form. I have not experienced using shea oil solely or someone using shea oil and not shea butter, typically most people use both. My advisement would be to avoid both, just to be safe but if I come across more details I will definitely share. I stopped using products on my hair with shea butter as an ingredient as a loose natural three years ago when I noticed the more I used them the drier my hair became. At 17 months of locs and now only use a small amount of melted shea butter with two or three other oils in my diy hot oil treatment. Only do this hot oil treatment every 6-8 weeks. Feels really good and have not noticed any build up. I shampoo every week or every two weeks and do not use a conditioner. Either use your herbal tea rinse or just a little Argan oil after rinsing out shampoo. During week spritz with rose water and glycerin mix a few days a week to keep hair moisturized. My locs are healthy and look beautiful! When you shampoo frequently like this you help to prevent the buildup. Keep up the good work! I take it back! I decided to cut off a small part of my loc to see if I had build up inside and was horrified! In he center were thick hunks of shea butter and probably hair conditioner from my first two months of locking my hair. I didn’t come across your blog until my third month. No more shea butter for me! I can only imagine how much worse it would have been if I hadn’t shampooed regularly or used shea butter every week like people first recommended. Do you think the an ACV rinse would be enough to remove it? Wow….my loctician uses Shea butter in all her clients hair for retwists. She also told me I should only shampoo my hair every 3 to 4 weeks. It drives me crazy because my scalp gets very dirty and itchy. That’s gross! I would find someone else to maintain your locs. You are able to shampoo your hair as much as necessary don’t let anyone tell you differently. Why Salons Charge More For Natural Hair? | KinkyCurlyCoilyMe! Shea butter is ok- if you dilute it with oils. Only a small amount is necessary. Also, washing is important. Clarifying shampoo is good from time to time. I wash my hair in the shower so I can manipulate it properly when washing. Otherwise, to moisturize, braid sheen spray works well. I may use shea butter or a shea butter product on the edges. But, my hair is semi-free formed so I don’t twist all that much. Oils are promoted for use with locks, but oils don’t moisturize, water does. If you’re not properly shampooing (pressure, temperature, frequency, and products) ; which most people don’t you will get build up from Shea butter, heavy oils and even braid Sheen spray which is often mineral oil (baby oil) based and only gives the illusion of shine or health but in fact prevents moisture from penetrating the hair and attracts lint. Hey. I have starter braidlocs (2 months along) do you have any advice about how I can keep my locs ,not only moisturised, but also help the living process. My hair is extremely frizzy at the moment and sometimes it feel so dry. Visit the “Classes” link at the top of the page and look for the “Moisture Series” course. 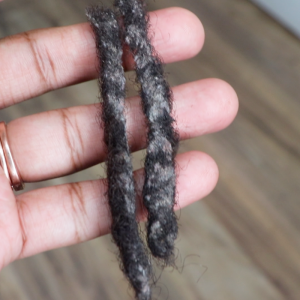 This course will teach you everything you need to use, do, and watch it for to keep your locs moisturized and reduce frizz. © 2008 - 2019 CURLYNUGROWTH, LLC. Get a FREE copy of the "Top 10 Do's & Don'ts With Locs" guide! Your information will *never* be shared or sold to a third party. By signing up you will also receive the NuGrowth Newsletter in your inbox every Friday— I promise not to spam you.